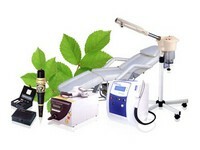 Leading manufacturer of permanent makeup machines, eyelash perm and accessories. Established in mid-1990's, Bella Co., Ltd. is currently one of the most capable and well established permanent makeup machine manufacturer found in Taiwan. With many years of dedicated experience and commitment to our products and customers, Bella Co., Ltd. has grown rapidly into global market, now Bella Company is now one of the leading manufacturers and marketers of permanent makeup supply. Bell's product is now sold in different countries worldwide. Bella not only dramatically demonstrated its company potential in original business approach, but also focused on new market opportunities within the changing global market, through ideals of professionalism, innovation, rigorous research and development as well as the dedication to quality, our team has developed new products to satisfy our customer's need, we will continue to provide latest information and products to our customers and dedicated to understand and respond to the market needs. In the future we will continue to be an efficient and trustworthy provider for quality products at reasonable and competitive prices. We will remain our services that is efficient, responsive, reliable, polite and professionally. Innovative technologies build beauty safe. Manufacturer of beauty products & instruments, including- (1) permanent makeup supply- micropigmentation, dermagraphic, permanent makeup accessory, laguna machine, majesty, dragon & lip machines, semi-disposable bonita & magical machines, permanent makeup needles. (2) 2 in 1 needles- disposable sleeves, transmission shafts, battery chargers, foot switches, traditional needles, needle caps, disposable finger rings, disposable pigment containers, square acrylic stands, eyebrow design kits. 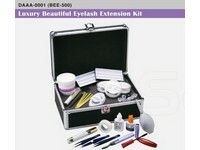 (3) eyelash perm kits- eyelash perm rods, mini eyelash perm kits, dolly’s lash, water soluble glue. (4) practice materials- practice skin pads, mannequin practice masks & heads. (5) beauty instruments - portable body (facial) ultrasonic devices, intense pulsed light devices, facial clean brush devices, body art products. (6) eyelash extensions- eyelash wave, eyelash perm sachet pack, eyelash perm silicon pads, dolly’s lash, premium j-curl lash, adhesive glue, protective coating, anti-wrinkle gelptch, eyelash scissors, tweezers, air blowers, comb-brushes, electrical eyelash curlers, flase eyelashes, adhesive tapes, large beauty cases, small beauty cases. (7) salon furnish- massage beds, facial chairs, stools, trolleys. (8) aneshetic and after care- quick numb, resolvent gel, cleanser, exclusive repairing oil, relief gel. (9) tattoo supply- tattoo machine, tattoo needles. (10) manual pens.